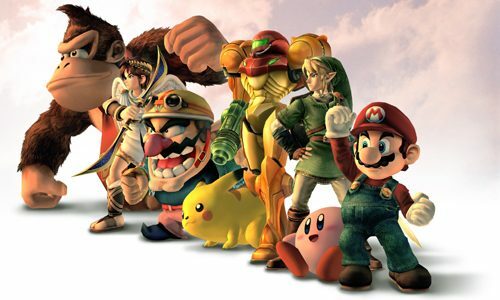 The Legacy and History of Nintendo's Super Smash Bros.
Super Smash Bros. is one of Nintendo’s industry titans, as it stands among Mario and Zelda as a powerhouse IP for the company. Outside of the all-star line-up and stellar game direction from walking video game encyclopedia Masahiro Sakurai, the ravenous fan-base has propelled the series to meteoric heights. 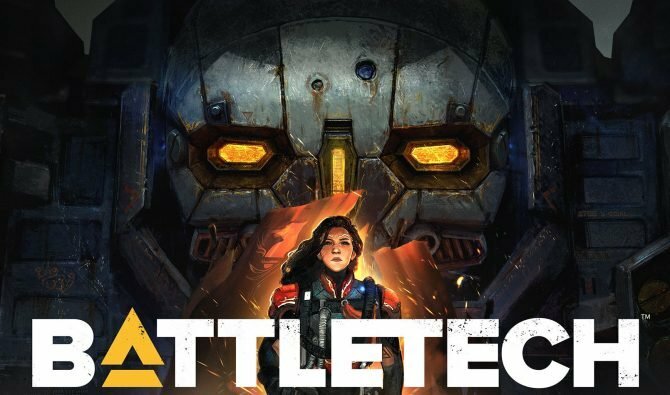 The series has kept a 17-year-old controller alive, created iconic mash-ups between characters that we never thought possible, and continuously celebrated gaming as a whole. So let’s look back and celebrate Super Smash Bros.’ long legacy as we prepare for the ULTIMATE version of one of Nintendo’s best franchises. Super Smash Bros.’s release for the Nintendo 64 was sort of a miracle. Nintendo guarded their IP like gold at Fort Knox, so seeing them beat each other up was out of the norm for the family-friendly face of Nintendo. The original title for Smash 64 was “Kakuto-Geemu Ryuoh” (Dragon King: The Fighting Game). When developing the prototype at HAL Laboratories, Sakurai had the idea to use Nintendo’s beloved mascots to give the game a solid atmosphere. Satoru Iwata was the president of HAL Laboratories at the time and would program the prototype in his spare time. After having the idea of using Nintendo characters rejected by Shigeru Miyamoto, Sakurai made a demo with Mario, Fox, Samus, and Donkey Kong in secret. He wanted the demo to be well-balanced before trying to pitch the idea again. Upon showing Miyamoto the new demo, HAL Laboratories was granted permission to use Nintendo’s precious characters. 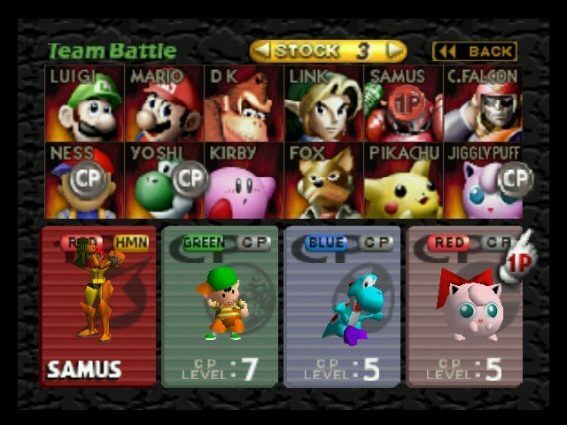 The original Smash Bros. had a starting roster of eight characters with four unlockable secret fighters. These 12 fighters would end up appearing in every subsequent Smash Bros. game. 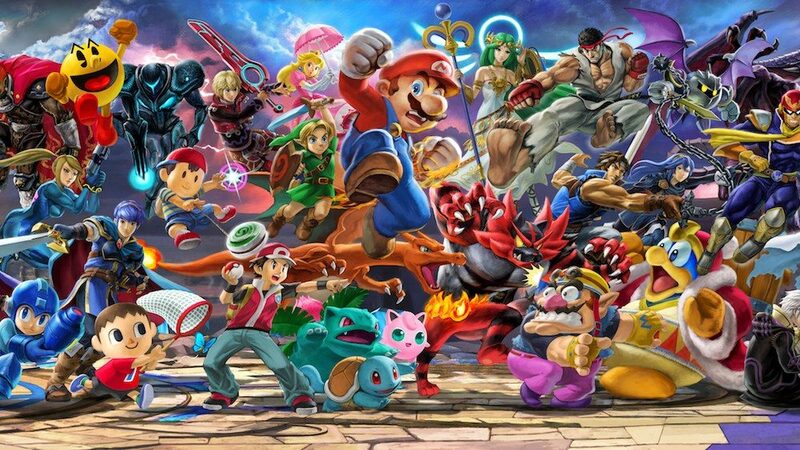 Super Smash Bros. Ultimate’s starting roster is actually the original eight fighters — Mario, DK, Link, Samus, Yoshi, Kirby, Fox, and Pikachu. At the time, Nintendo of America had a difficult time coming up with a way to market and explain the game to its consumers. They wanted the game to be kid-friendly and for parents to buy it for their kids. They came up with a full spread layout in Nintendo Power Issue 119 in April 1999, as well as this cute commercial to help promote the game. One final interesting tidbit for the origins of the series is that Sakurai had originally conceived the idea of “Final Smashes” way back in 1999. This conception went to the point of recording audio for some of the characters executing these all-powerful attacks, which would end up being used later in Super Smash Bros. Brawl. That is actually a theme we will see throughout the entire development of the Smash Bros. series. Only two short years later, Super Smash Bros. Melee hit store shelves as a launch window title for the Nintendo GameCube. 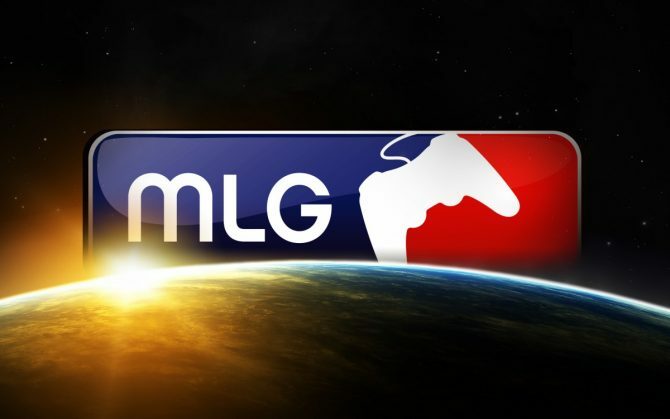 Melee would go on to become the evergreen title in the series, as it is still voraciously played today by fans around the world, both for fun and in professional fighting game tournaments. 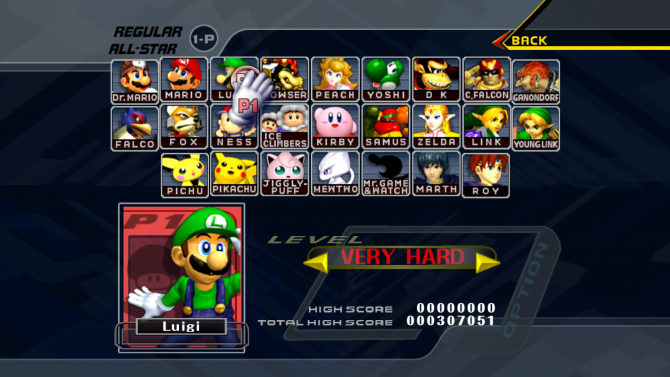 Melee was officially revealed at E3 2001, just seven months before the game’s release in North America. The game ended up being way more robust and fleshed out than its predecessor. Melee featured 13 (14, if you count Sheik) new characters, three unique single-player modes, a variety of multiplayer modes and options, as well as collectibles like the in-game trophies. It was a tremendous leap for just a two-year development cycle. The true legacy of Melee is the game’s speed, deep mechanics, and in some instances brokenness. Melee is the fastest-paced title in the whole series, leading to some incredibly intense matches. Its mechanics evolved to include new moves like light-shielding, dodging, and ledge-grabbing. The competitive scene around the game got even more intense with things like L-Cancelling and the infamous Wave-Dashing; all of this and more has kept the game active for 17 years. Melee could not meet all of Sakurai’s ambitions though. Sakurai wanted an 8-player battle mode, but the GameCube was simply not powerful enough to pull off such a feat. Another technical hurdle was having Ditto as a Pokémon in the game’s Poke Balls. 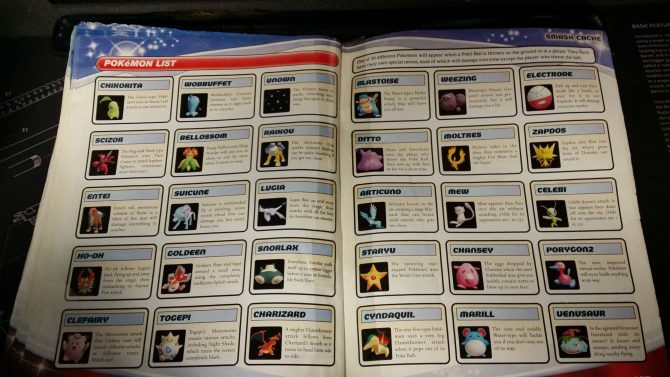 Ditto made it pretty far in development, even as far as being included in the game’s official strategy guide, but was apparently pulled at the last minute. Melee was also the birthplace of dream rosters and rumors for the series. The most notorious rumor (one I attempted many times as a kid) was the inclusion of Sonic and Tails in the game. Electronic Gaming Monthly (EGM) published a fake screenshot and unlock conditions in their magazine as an April Fool’s joke in 2002, saying that players would have to achieve 20+ KOs in Cruel Melee to face the Blue Blur. However, the dream of having Sonic included in Smash Bros. would have to wait to see the light of day. Super Smash Bros. Brawl is an interesting beast of a game. 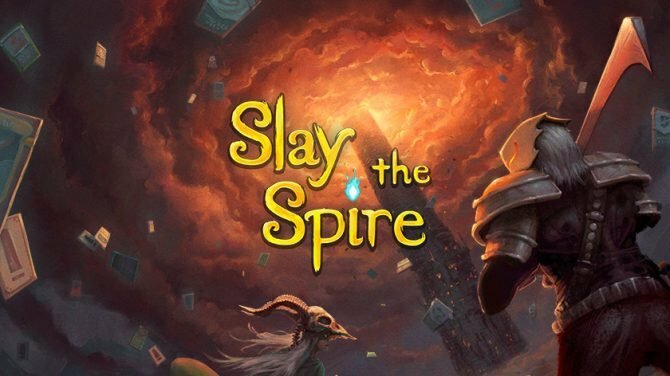 In hindsight, it’s probably the most disliked entry in the beloved series — despite having the highest Metacritic average — due to design choices that stunted the game’s competitive longevity (*cough tripping cough*). Brawl’s hype and news cycle were unlike anything fans had seen before though. The lead up to Brawl was a magical time thanks to the daily Dojo updates and fever dream roster ideas from fans. Following the announcement, Iwata met with Sakurai and asked him if he would help create a brand new Smash Bros. game or Nintendo would just have to port Melee with online functionality. Sakurai agreed and Brawl was born. 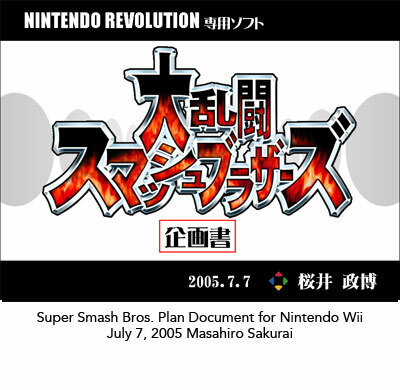 Just two months later in July 2005, Sakurai had completed the planning document of the entire game. The trailer revealing Brawl debuted one year later at E3 3006. The hype became real as new fighters like Meta Knight and Wario were revealed in a grand cinematic. The trailer ended with the reveal that Solid Snake would be joining the brawl in what has become a classic reveal trailer, and becoming the first third-party character to join the roster. Shortly afterward, the Smash Bros. Dojo began its daily blog posts. 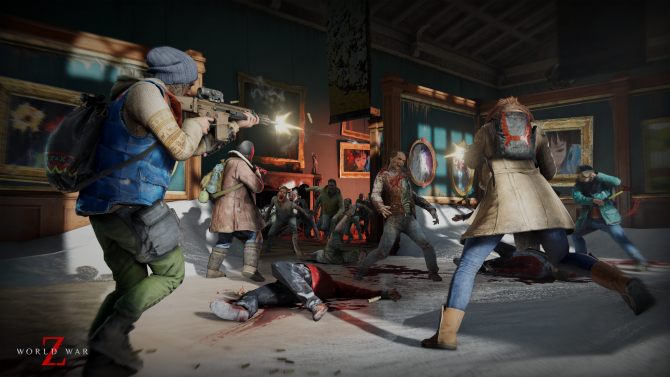 These frequent updates offered a rare look at the game as it was being developed. 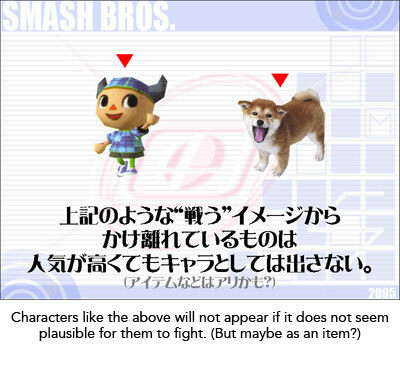 Fans around the world united to piece together clues from Sakurai’s meticulously posed screenshots and videos. It set the tone for Smash hype for the next decade. Brawl’s development would be struck with one delay. Once promised for the 2007 holiday season, Brawl was delayed into early 2008 on October 10, 2007, just two months before its originally scheduled launch. To make up for the delay (and possibly what caused it) Sonic the Hedgehog was announced as a playable character for Brawl, and thus the floodgates of possible characters opened. Never has there been such a bittersweet day in Smash history. 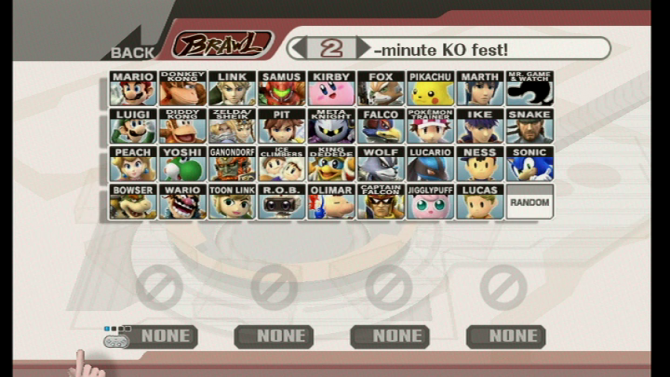 When Brawl’s final roster was revealed after the game released in Japan, 35 characters filled the screen. With 15 newcomers joining the series, fans said goodbye to characters that were introduced in Melee, such as Roy, Pichu, Young Link, Dr. Mario, and Mewtwo…for the time being. The hype cycle for Brawl reached epic proportions thanks to leaks, predictions, and rumors. Inside leakers took the forums trying to prove they truly had an inside connection. One was dubbed in the Smash community as the “Dragoon Prophet” for correctly stating new and returning characters alike, along with the new Dragoon item. Geno from Super Mario RPG was also a heavily rumored and speculated character, but never came to fruition. In a similar fashion to Brawl, the next Super Smash Bros. game was announced without any progress being made at the time. During E3 2011, Iwata announced that Sakurai decided to develop the next entry for both the Nintendo 3DS and the newly-announced Wii U. The games would somehow work together, but Sakurai would not begin working on them until Kid Icarus: Uprising was complete. It would be two years later when fans finally got to see the two teased titles. Being developed by Sakurai’s new company Sora Ltd. with help from Bandai Namco, Super Smash Bros. for 3DS and Wii U’s trailer showed off the visual styles of the two ports and confirmed the all-new Villager character from Animal Crossing, which was once considered “not plausible” by Sakurai himself. After E3 2013, other characters such as Pac-Man, Mega Man, and the Wii Fit Trainer were revealed to join the roster as well. Sakurai was determined to keep the rosters identical for the two versions, which led to some shakeups and disappointments. Zelda and Sheik became two separate characters, instead of having the ability to transform mid-match due to the 3DS’ limited power. Pokémon Trainer was swapped out with a solo Charizard, leaving Squirtle and Ivysaur out to pasture. This limited power also meant that the Ice Climbers would be left out, despite being series veterans since Melee. Despite having identical rosters, the two games did have some differences. Smash 3DS had the single-player mode Smash Run, while Smash Wii U had Smash Tour, events, Special Smash, a stage builder, and an 8-player Smash mode. The 3DS version had stages from more handheld games, while the Wii U had more stages altogether and from more console-centric games. Smash 3DS released a limited demo to select Club Nintendo members on September 12, roughly a month before the game’s release. It featured a taste of the roster to come and whetted the appetite of Smash fans around the world. When it came time for the full game, the 3DS version would release two months before the Wii U version. For the first time in Smash Bros. history, the series also received DLC fighters and stages for fans to purchase. Nintendo even held a ballot that fans voted in for what characters they would have liked to have seen. These included fighters from previous games, as well as brand new fighters from third-party developers. 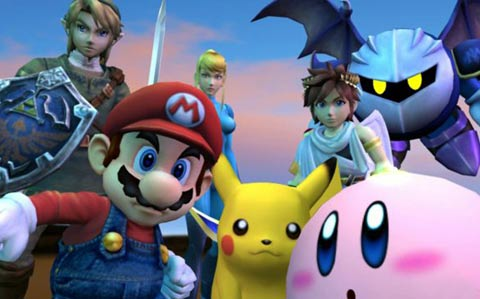 Lucas, Roy, and Mewtwo returned to the fray, while Ryu from Street Fighter and Bayonetta made their debut. Arguably the most iconic character reveal to-date also happened during Smash 3DS/Wii U’s life cycle—Cloud from Final Fantasy VII. 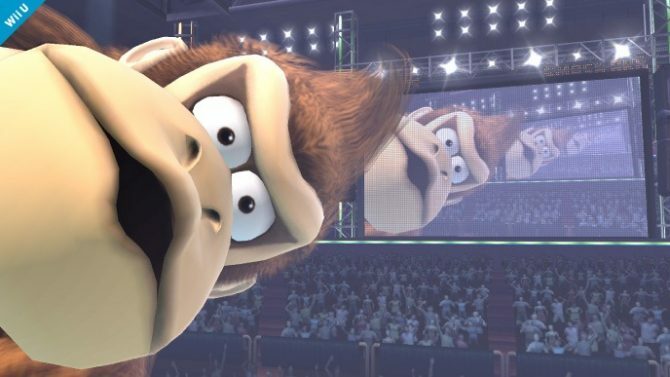 Smash truly was a fever dream of gaming icons mashed together with the inclusion of such an iconic character. With the new 8-player Smash mode (finally realized from the GameCube days), matches could happen between Mario, Cloud, Sonic, Ryu, Mega Man, Pac-Man, and more! 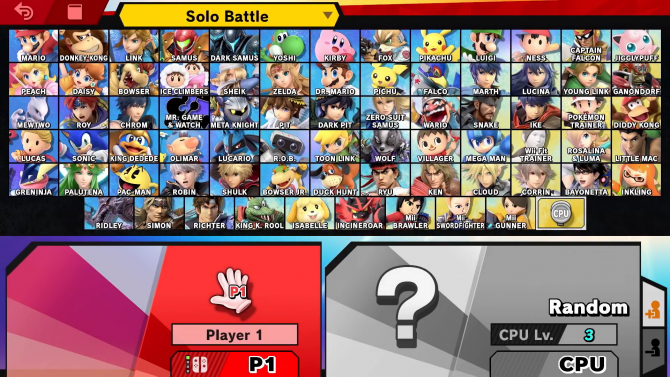 In the end, the game’s full roster featured 56 total fighters, with 19 new characters for people to choose from. Smash 3DS/Wii U wasn’t without its leaks though. Two of note were the Gematsu leaks and the ESRB leak. The Japanese site Gematsu, with the writer Sal Romano specifically, consistently got accurate information before big Nintendo events like E3 and Nintendo Directs. 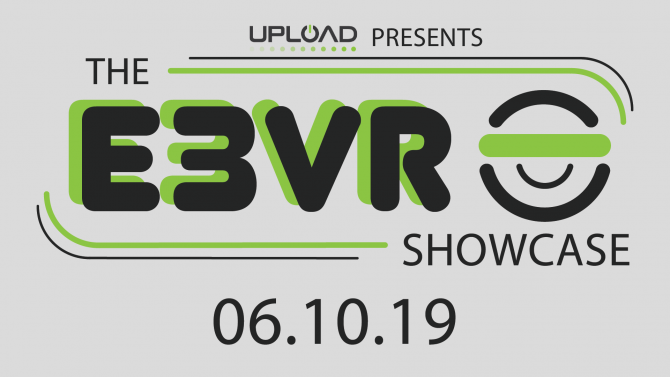 The ESRB leak was due to someone leaking video proof of the game’s full launch roster from a copy submitted for rating by the ESRB. Outside of the game itself, Sakurai opened up in his Famitsu column about suffering from calcific tendinitis in his right shoulder. Sakurai has suffered ruptures in his arm muscles and had to avoid using his right arm as much as possible. Publicly addressing his health condition reminds me of a quote from his “Iwata Asks” interview: “If you want to make a new Smash Bros., you have to be ready to put everything else on hold if you want to make it work,” Sakurai said. Where Smash 3DS/Wii U and Brawl had similar reveals, Super Smash Bros. Ultimate took a page from Melee’s playbook. Ultimate was teased at the end of a Nintendo Direct on March 8, 2018, and was fully revealed at E3 2018, six months before the game would release worldwide. During the game’s reveal at E3 2018, Sakurai revealed that the game would launch on December 7 and would have every fighter in the franchise’s history returning in one game. This is a modern gaming miracle, meaning that all of the series’ third-party characters like Cloud and Snake would be able to make a return all together. The roster would not stop there though. Over the course of the next five months, Nintendo revealed seven all-new fighters, with the promise of five more via DLC. Long-requested dream characters like King K. Rool from Donkey Kong Country, Simon Belmont from Castlevania, and Ridley from Metroid were announced in the subsequent months. 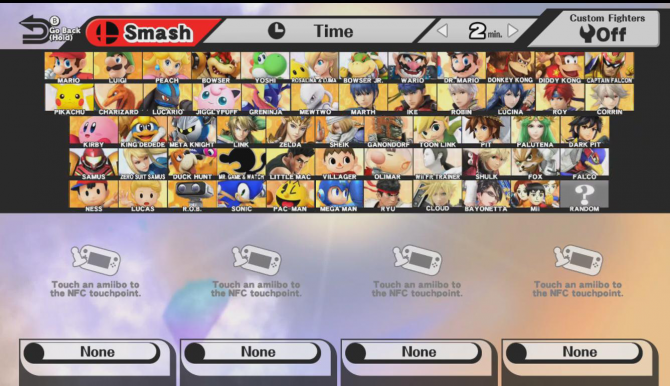 This would leave the game’s final roster at around 80 total fighters, more than double Brawl’s roster. Ultimate would also feature insane amounts of other content, like 103 stages and over 800 music tracks! Ultimate truly has evolved into the “ultimate” version of Smash. The game would keep GameCube controller support with a special adapter for the Nintendo Switch. Uniting the entire roster under faster gameplay than any entry since Melee with almost every single stage as well, it’s been quite a hype cycle these last nine months leading up to Ultimate‘s release. However, no Smash hype cycle would be complete without leaks and rumors. Reminiscent of the Brawl days with its “prophets,” a GameFAQs user known as “Vergeben” has consistently leaked accurate information about the latest game. Vergeben said every fighter plus Metroid‘s Ridley and Castlevania‘s Simon Belmont would join the game all the way back in May, which eventually would prove to be true. Vergeben would go on to leak Isabelle, Incineroar, and Ken after. As of now, the only claims that are unconfirmed (as of now) are a new Square Enix fighter as well as some sort of Minecraft representation, but there are still a few unrevealed DLC fighters left to imagine. The first DLC character, however, has been confirmed as Joker from Persona 5, which was revealed during The Game Awards 2018. 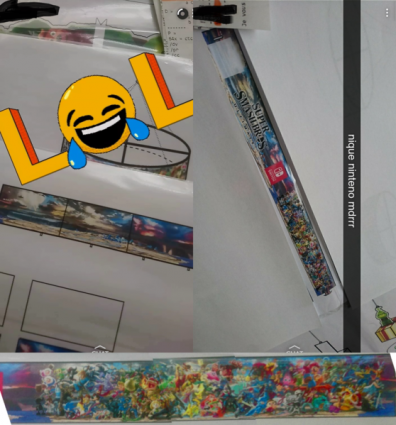 The other major “leak” that turned out to be false was the infamous fan-dubbed “Grinch Leak.” A blurry Snapchat video started circulating around the web featuring supposedly final banner art for the game. Characters included were Banjo & Kazooie, Isaac from Golden Sun, Shadow the Hedgehog, Ken, Geno, the Chorus Kids, and Mach Rider. What lent veracity to the leak was the inclusion of promotional art for the new animated Grinch movie. It was all debunked, however, during the Nintendo Direct on November 1 when Incineroar was revealed in the opening minutes, other than the inclusion of Street Fighter‘s Ken to join Ryu in the fight. Our journey has finally led us to here with Super Smash Bros. Ultimate’s launch. Smash Bros. has come up from an identity-free prototype made by two people to an iconic celebration of video games unprecedented in the games industry. The vision, passion, and dedication of Sakurai is unparalleled and is so much more than finally shrinking Ridley down to a size that works in a fighting game. He and his team clearly have heart for the beloved IP they get to handle, as well as their own. Smash Bros. is a truly special series, one that is personally dear to myself and many others. So as we looked back on the series’ development history and as we prepare to duke it out with Fox on Final Destination (with no items, of course), let’s take a second to think about and thank the man that has made so many dreams come true. Thank you, Masahiro Sakurai — for everything you have done.